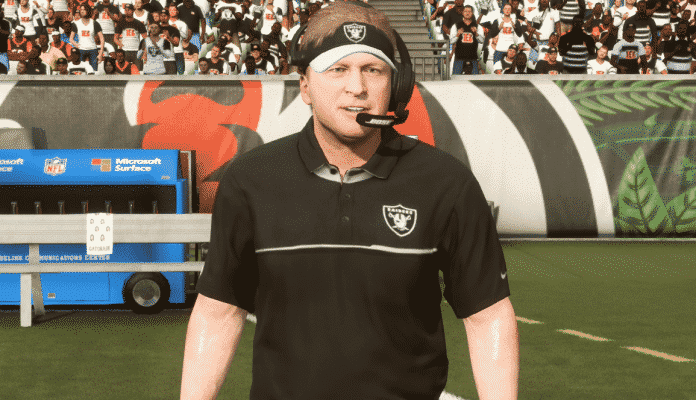 With Madden NFL 19 set to drop in just under two weeks, it’s time to take an in-depth look at Franchise Mode. Last month, we published a brief preview of franchise mode, which explained some of the major changes compared to Madden 18. 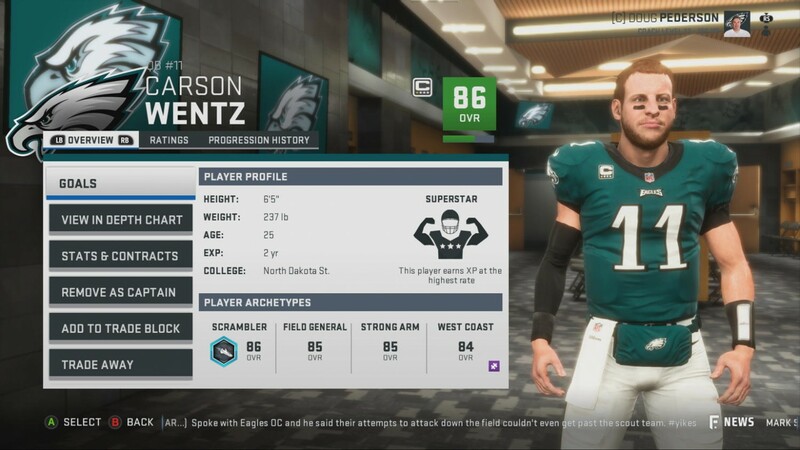 As you probably know already, player progression is completely overhauled in Madden 19. Gone are the days of mindlessly stat padding with 65 overall receivers against the computer on rookie, dumping all of their XP into speed, and winding up with a 99 speed wide receiver by week 12 of the regular season. Madden now requires you to pick schemes and playbooks for both offense and defense. These choices will determine which archetypes on your roster will fit. Players who fit your scheme will progress faster and regress slower, particularly in attributes directly related to the scheme you choose. Players progression happens at a time of your choosing, but the attributes increased are random based on the team scheme and archetype for the player. For example, a speed wide receiver in a spread offense will likely receive boosts in attributes like speed, agility, elusiveness or short route running. By the same token, he’s unlikely to get boosts in attributes like deep route running, vertical, or break tackle. The scouting system is identical to last year’s version, but the new ‘fast scout’ button allows you to scout a player without having to click on him, streamlining the process. Free agency also remains the same. However, players who fit your scheme are more likely to sign with your team in free agency. Madden NFL 19‘s Franchise Mode won’t look or feel completely different. Although, the way you progress players and build a team has completely changed. The focus is clearly on player development and scheme building. In my opinion this is a much-needed change. Check back with us throughout the next two weeks as we will have tons of Madden NFL 19 gameplay, previews and content dropping leading up to the game’s release on August 10 (August 7 for Hall of Fame pre-orders). What do you think of the revamped franchise mode in Madden NFL 19? Which mode will you play first when the game drops? Let us know in the comment section below, and don’t forget to subscribe to SGO.